What do the Ghost Orchid and Darwin’s Orchid have in common? Besides their sparkling white blooms, they are also night fragrant orchids. They have no scent during the day, and turn on their perfumes when it’s dark. The six photos below represent just a fraction of night fragrant orchid varieties. I’ve included a few more in the list at the end of the post. 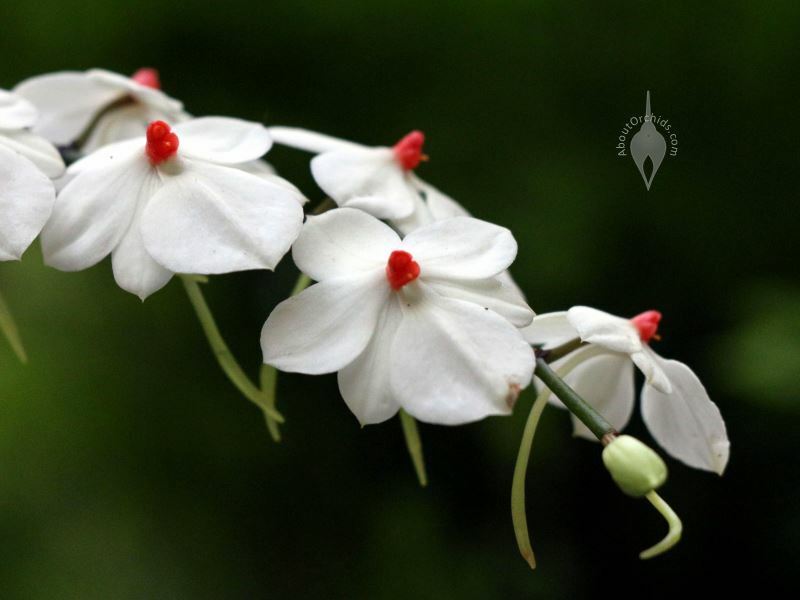 Not all white orchids have aromas. White Phals, for instance, have no smell. Some white Dendrobiums are scentless, while many white Australian Dendrobiums have sweet daytime perfumes. On the other hand, night fragrant orchids have characteristic nectar tubes which extend behind each bloom. These point to one common goal for these orchids: pollination by moths. White flowers stand out at night, and moths love the rich scents and sweet nectar. Some orchids are fragrant only at dusk or early evening, while others last throughout the night. Most of these night fragrant orchids are rare, and not common in cultivation. Some varieties have flowers with light green or yellow tints. Many have demanding care needs, and are not recommended for orchid beginners. 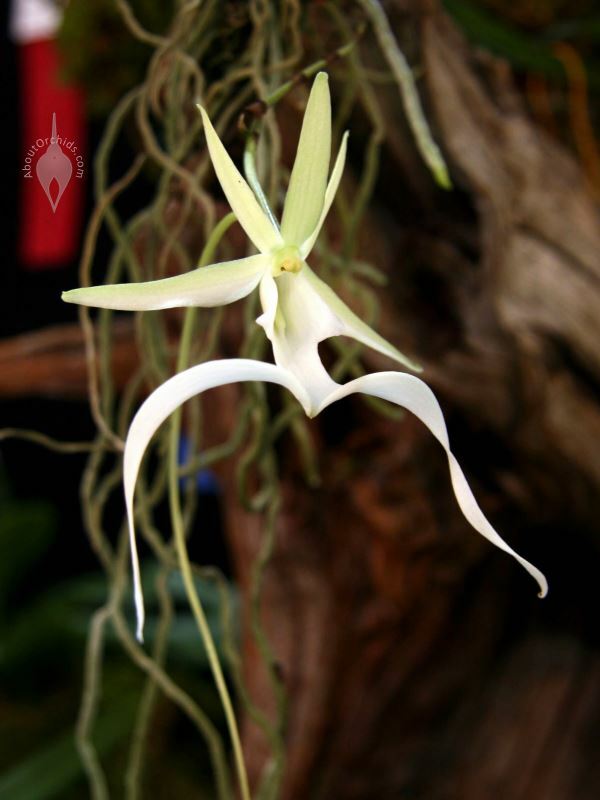 Easier varieties include Brassavola, Mystacidium, and Neofinetia. This partial list of night fragrant orchids includes some superstars, like the Ghost Orchid and Darwin’s Orchid. 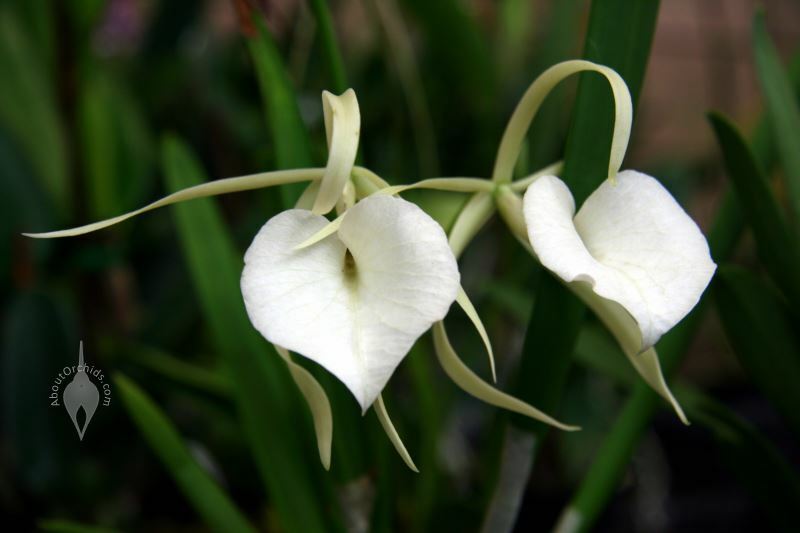 Aerangis – There are over 50 species in this genus from Africa, all with night fragrant flowers. 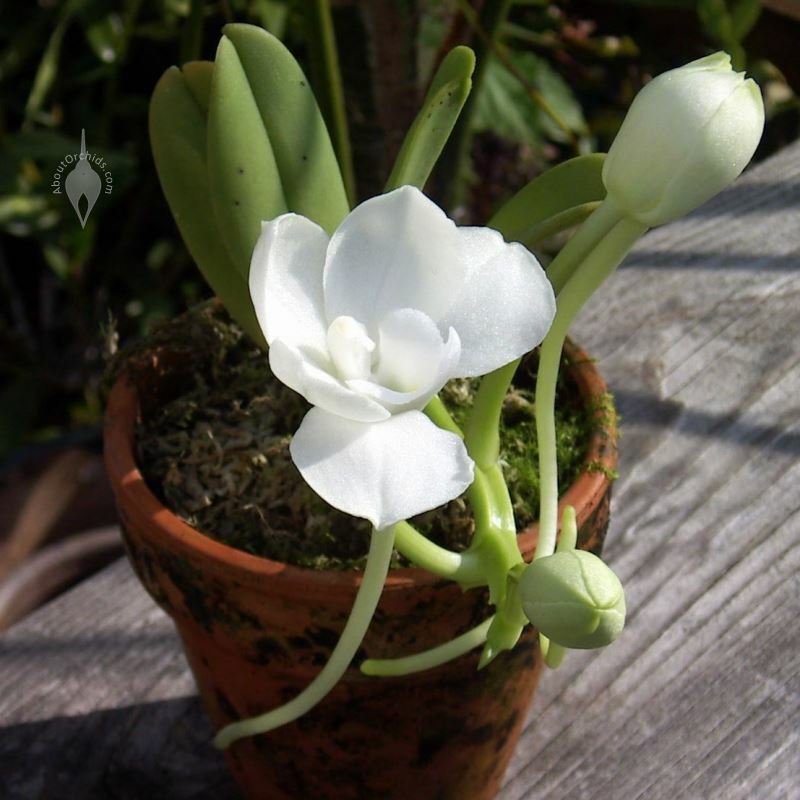 Many Aerangis are miniatures which need to grow on mounts. Amesiella – This small genus from the Philippines has mini plants with oversize flowers. 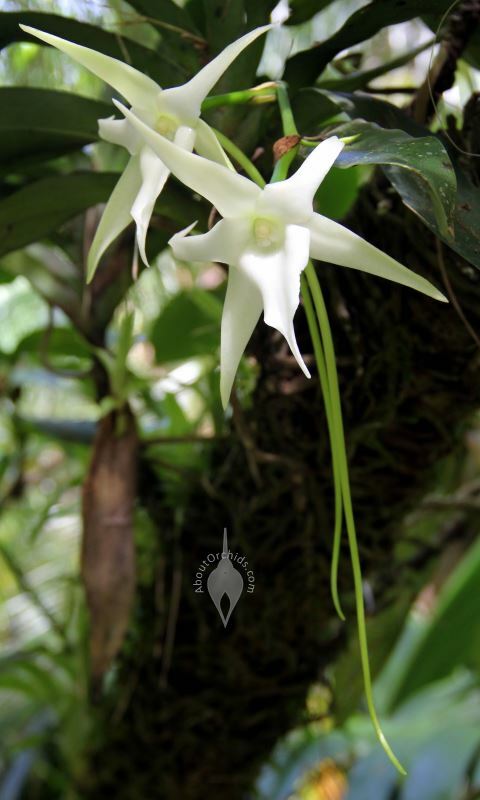 Angraecum – Over 200 Angraecum species make this African genus the largest family of night fragrant orchids. Darwin’s Orchid, with its 14 inch (35 cm) nectar spurs, captured the great scientist’s imagination, and became important in proving evolution. Ghost Orchid – The Ghost Orchid, Dendrophylax lindenii, was made famous by The Orchid Thief and Adaptation. Fortunately, legal seedlings of this unusual leafless species are now available. This has reduced illegal poaching of wild plants. Jumellea – Several dozen Jumellea species from Madagascar and surrounding islands have delicious scents. Mystacidium – This mini is easy to grow, but hard to find outside of its native South Africa. Neofinetia – Samurai Orchids have been grown in Japan for centuries. One small plant can fill a room with a rich aroma in the evening. Oeoniella – Small, delicate flowers on this African species have a strong scent. 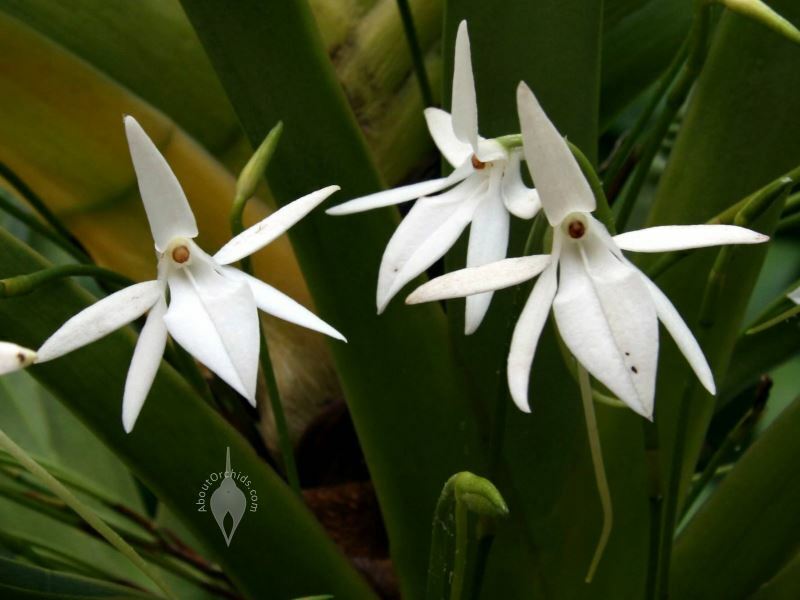 They are related to the larger Angraecum family. This entry was posted on Saturday, May 17th, 2014 at 5:00 am	and is filed under Fragrant Orchids, Mini Orchids, Photos.